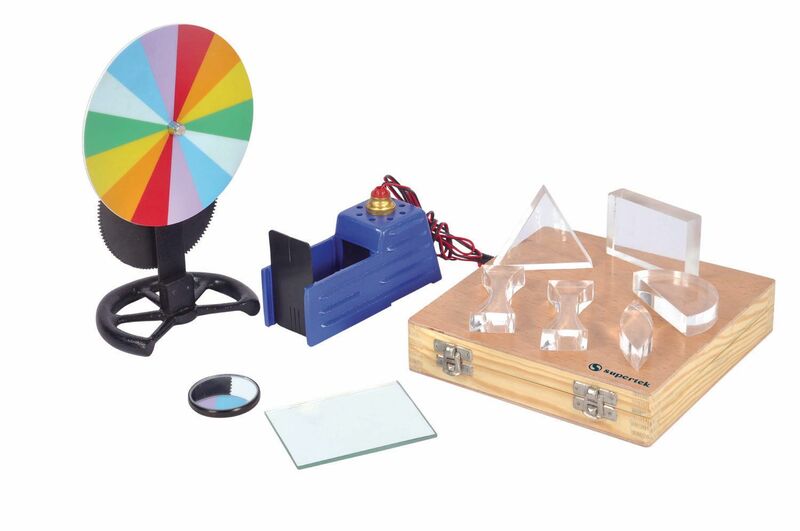 Using mirrors, lenses, and a ray box, you can help your students better understand how light can be bent or reflected in different ways based on the shape of the lens or mirror. You can also explore how light and color are related. Kit includes an acrylic prism set with a triangular, half-round, double convex, and rectangular prism and two double concave prisms all packed in a wooden storage box; a ray box; Newton’s color disk; a plane and concave mirror; and instructions with correlations to the National Science Education Standards, student instruction sheets, and suggestions for science fairs.